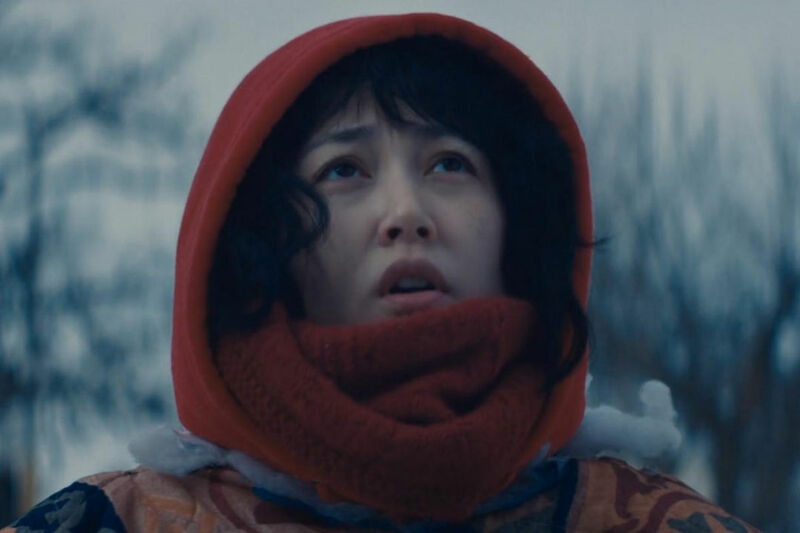 When you have a premise as good as the one that Kumiko, the Treasure Hunter has, it is most likely that you are setting yourself up for disappointment. Luckily, the execution somehow manages to beat out even the initial promise. Kumiko, the Treasure Hunter is so many things at once, that it is somewhat tough to describe. It is an adventure, but not a swashbuckling, heroic one. It is a comedy, but a quiet, rather depressing one. The Zellner Brothers drew inspiration from a story that is built upon layers of entangled truth and mythology. The titular hero is Kumiko (Rinko Kikuchi). Kumiko lives in a tiny box of an apartment in Tokyo. She works at the kind of office assistant job somebody much younger than her should have, and according to her mother, she is a failure because she isn’t married and expecting children. The first half of Kumiko is something like a Japanese version of Office Space. Kumiko goes into a job every day that she doesn’t care about, surrounded by people she hates, and nagged constantly by a lethargic boss. She is the only one smart enough (or perhaps foolish enough) to realize that there is another path that nobody knows about. Meanwhile, the second half is a series of vignettes centered around a road trip that is wrapped in farce and tragedy. Kumiko’s way out is in a video tape of Fargo, which she assumes is a documentary. Thinking the Steve Buscemi’s buried briefcase of cash is real, she sets out to the Minnesota tundra to try and find it. Like the best kinds of road trips, this is one that relishes in the pit stops rather than the destination. And on the road through the North Star State, she meets a series of characters who defy all the Minnesota Nice stereotypes. Hell, nobody says “you betcha!” once. Instead, there is a tour guide with a religious agenda and a cop who just wants to do the right thing, amongst others. Each encounter Kumiko has, is funny in its own unique way, and language barrier just makes every scene better. Sure, all these characters are a little weird and maybe even a little pathetic, but the Zellners provide them with these interesting little backstories that make them more than just caricatures. In certain ways, Kumiko belongs to Rinko Kikuchi as much as it belongs to the Zellners. She might not have written this character, but it feels like it belongs to her. Kikuchi has impressed me for years, from the days of Babel (which she was nominated for an Oscar for) all the way through Pacific Rim. Kumiko doesn’t say a lot in either language, but Kikuchi is so good that she can just act with her entire body. Kumiko moves at the kind of slow pace that will piss a lot of people off. But the fact that it takes its time makes every little shot feel like it was painted with an extra special brushstroke. Kumiko herself can be an infuriating character, in that she never strives to change. But change is overrated. Some people never change and sometimes, that is exactly why we love them so much. While it is still early in the year, I can tell that Kumiko is one of those films we will all still be talking about and remembering at the year’s end. There is just nothing like it in any medium, and there probably won’t be again. I can say with absolute certainty that this is the first time in my entire life that I actually felt nostalgic for videotapes. Sure, they broke easily, but I still miss those grainy trailers before the feature started. Kumiko is one of those films that will make you challenge the notion of a happy ending. The key to its bittersweet perspective on life lies early on as Kumiko looks out the window of her tiny apartment. While she sulks in misery, she sees a couple in another apartment that is as small as her place. Yet, they smile and dance the night away. You don’t have to travel thousands of miles away to change your life. All you really need is to sit down and watch a Coen Brothers movie. This entry was posted in Uncategorized on March 23, 2015 by ian0592.